When it comes to the success of digital marketing and finding new customers via the web, keyword optimization is one of the most important tools you can bet on. Keyword optimization or keyword research is the act of researching, analysing and selecting the best word or concept of great significance to your product, services or campaign in order to target and drive traffic from search engines such as Google to your website and other digital platforms. Getting your website or blog on the first page of search engines can be a daunting task if you do not understand the fundamentals of optimization. Although this tutorial is not guaranteeing you the first place in major search engines, it does point out what one needs to do to be in the Search Engine Optimization game. It is tough to be the best at everything and that includes Keyword Optimization. The first step of reaching the top of search results is identifying the right keywords. It can either be a single or multiple words or entire phrases. As you might already be aware of, most searches on the internet are made in the form of a question. Therefore, before you start writing down the keywords, you need to decide which keywords you want to focus on. These are the words people would type into the search engines in order to find your page, blog, website or product. It is very essential that the word you choose as the keyword is broad enough for lot of people to search for on the internet, but narrow enough that you have a decent chance of getting a high search rank for it on the search engines and results. For example, the word “shoe” is way too general. However, “Where can I find cheap shoes online” is a pretty good one. Similarly, the word “Europe” is way too general and Wiki sites will normally dominate these top spots. So, “the best holiday destination in Europe” is a much better phrase to focus on. Think about who your target audience or customers are. What are they likely to type into the search bar when they are looking for answers where your services can help them? Why not ask existing customers what they would search for? Although it is important for you to choose words that many of your target audience might be typing into search engines, they should not be words that bigger companies with the most muscles and bigger budget will compete for. Guess not only. 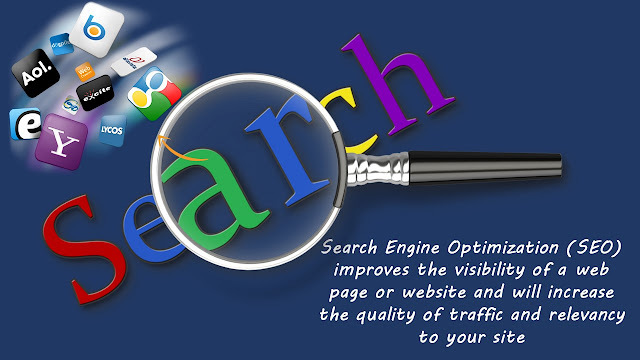 Google has several good tools which can aid you find what is popular to search. On Google Trends, a public web facility based on Google Search engine, shows how often a particular search-term is entered relative to the total search-volume across various regions of the world, and in various languages including a list of popular searches. You can also enter keywords and see how popular they are, compared with other phrases and ideas on similar terms - in order to choose the one that most are looking for. You can also find keywords using Google's ad tool AdWords. You do not necessary have to advertise, you can just create an account and select using the “Keyword Planner" under the "Tools" menu. Once you have successfully chosen your keywords, there are a few other things you need to do in order get your site ranked high on search engines. One of such things is content creation. You have to create and distribute relevant and valuable content (such as speech, writing, photograph or any of the various arts) that attracts and engages your well-defined target audience. Content marketing helps us to attract new customers and build loyalty with existing customers. Use keywords in the title and preamble of all the pages. Also, include the keywords in the body, the much higher up it is in the text, the better it is for your ranking. However, be careful not to use your keywords too much. Google may interpret your site as a nonsense page which is only trying to attract traffic and you go down in search results. A rule of thumb is that your content should feel natural and interesting. Which of course is also important for your visitors. 2. Do not forget your photos! Rename even your photos with your relevant keywords. This will make it possible for search engines index them and you can get hit even in image search. If you have the opportunity to enter an alternative text for each image, do not let go of such an opportunity. Ask family and friends to visit your website. Get the link or URL out there as often as possible, for example, you make a video, put it up on YouTube and the links there - but incorporate all the content on your site and link to it there. Ask friends, business partners or customers to link to you, perhaps in exchange for a link back or share interesting tips in your field and let others get put up pieces of contents with a link to you. Get others to share your site and contents on social media, using "share" buttons. AddThis is a one of the free tools allows you to instantly share or bookmark pages with one easy-to-use tool. AddThis can also get statistics on how much your content is shared. With a good percentage of the world’s population owning mobile devices these days, it makes sense to make sure that your site is mobile friendly. Mobile users also expects good mobile experience when they visit site. If your site is not mobile friendly, it may rank lower in searches from mobile phones. Google recently Google released a significant new mobile-friendly ranking algorithm that's designed to give a boost to mobile-friendly pages in Google's mobile search results, therefore you can’t go wrong with this offer. A site that takes a long time to load will rank lower on search engines. Google has indicated in the past that site and page speeds is one of the signals used by its algorithm to rank pages. Page speed is also important to user experience, the slower your site/page speed the more likely you will have high bounce rate and lower average time on your site. Some of the great tools which can help you with your site speed is Google Pagespeed Insights and GTmetrix. This are tools that empowers you to make decisions that increase the performance of your website. Use analytics to measure the outcome of your efforts or to determine which areas of your site are doing well. Google Analytics offers free and enterprise analytics tools to measure website, app, digital and offline data to gain customer insights. Example: Google Analytics enables you to track the visitors to your store, and generates reports that will help you with your marketing. Under the "acquisition" in Google Analytics select "all traffic" -> "Channels" -> "organic search" so you can under the "keyword" to see which keywords drive the most traffic and the "source" which search engine. Using Google webmaster tools, you have access to them in Google Analytics under "acquisitions" -> "search engine optimization". Business regardless of size, wants to be found on the first page of Google. Getting seen by customers at the exact time they are looking for your information, products, services, deals or location is intent marketing (marketing based on someone intending to find your products), and it’s profitable. Many businesses use Google AdWords to archive these by creating highly effective advertising campaigns to market their products and services, drive traffic to their website, and ultimately, increase sales. SEO Service This was a shocking post. It has some look at here fundamental data on this subject.